Colombo, the capital of Sri Lanka, is a surprise among the cities of Asia. Unlike sprawling Mumbai or Manila, it is compact and less chaotic, but still rich in the number of experiences on offer. It may not have the showy nightlife of Bangkok or the sprawling shopping malls of Kuala Lumpur, but it is not lacking in entertainment and activities. Visitors to Sri Lanka rarely spend much time in Colombo – after all, who can blame them, when the island has such a wealth of amazing destinations to discover? But for those who have the curiosity to explore one of the oldest port cities in the region, a fascinating history will be revealed, containing layers of cultural influence. Colombo occupies a coastal strip on the western side of the island. Because of its strategic position on the East-West trade routes, it was known to Roman, Arab and Chinese traders over 2,000 years ago. Some believe “Colombo” was coined by the Portuguese from their interpretation of Kolonthola, or “Port on the River Kelani”, others that it derives from Kolambathota or “Harbour with leafy mango trees”. The Portuguese arrived in 1505 and signed a treaty with the King of Kotte (an adjacent area now the Administrative Capital) that enabled them to trade in the cinnamon growing along the coast (an exclusive neighbourhood in Colombo is named Cinnamon Gardens). Following the fall of Kotte in 1593, the Portuguese were able to establish control over the coast and established Colombo as their capital. In 1638, the ruler of the Kandyan Kingdom signed a treaty with the Dutch to dislodge the Portuguese. After an epic siege in 1656, the Dutch succeeded in capturing Colombo – and gained control of the cinnamon trade against the wishes of the Kandyans. Britain, fearing the island would fall to the French (who controlled the Netherlands), seized the coastal areas in 1796 with little or no resistance (and later were the first to capture the Kandyan Kingdom) and so the second colonial power was overcome by a rival. The British were the first to regard Colombo as something more than a military outpost, constructing houses and other buildings that formed the core of what is now the City of Colombo. When Sri Lanka gained independence in 1948 a new era of cultural transformation began – but the influence of the British, Dutch and Portuguese remains deep in the city’s DNA. It’s there in the European names of some of the city’s inhabitants; in the Dutch cuisine; in the colonnaded buildings that still serve as administrative offices; and in the lingua franca, English, spoken with varying degrees of fluency by most people in the city. 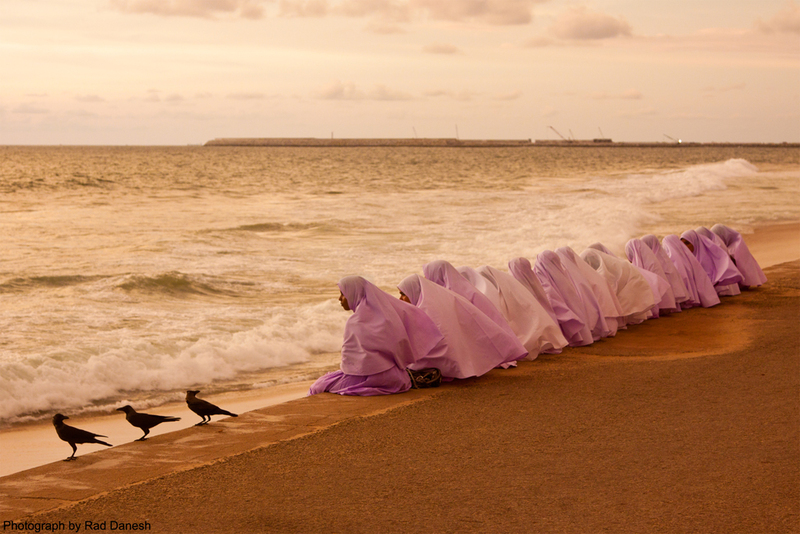 Today, with a population of 650,000, Colombo has a multifaceted community represented by all of Sri Lanka’s major cultures – Sinhalese, Tamil, Muslim and Burgher.